Villa Madina has been serving healthy Mediterranean Cuisine to customers across Canada since 2002. We pride ourselves in fast, fresh and authentic Lebanese cuisine. 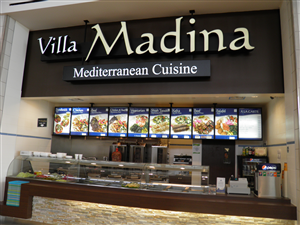 While you are Shopping through all the fantastic 2013 Canadian Black Friday sales and deals that the Vaughan Mill Outlet Mall has to offer, why not stop in and grab a bite to eat at the Villa Madina. On November 29th, 2013 you will receive a FREE fountain drink with the purchase of any meal plate. 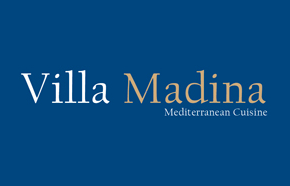 The Villa Madina has been serving healthy Mediterranean Cuisine to customers across Canada since 2002. They provide fast, fresh and authentic Lebanese cuisine. From shish-taouk sandwiches to fresh tabouli salads, Villa Madina offers an extensive selection to even the pickiest eaters. They also have a variety of vegetarian dishes if you prefer that route! Don't forget to stop in at the Villa Madina this Canadian Black Friday 2013 for your FREE soft drink with your meal! Check out their menu and get more information here.